In 1998, Congress appropriated funds to the National Institute for Occupational Safety and Health (NIOSH) for a fire fighter safety initiative. As part of this initiative, NIOSH developed and implemented the Fire Fighter Fatality Investigation and Prevention Program (FFFIPP). 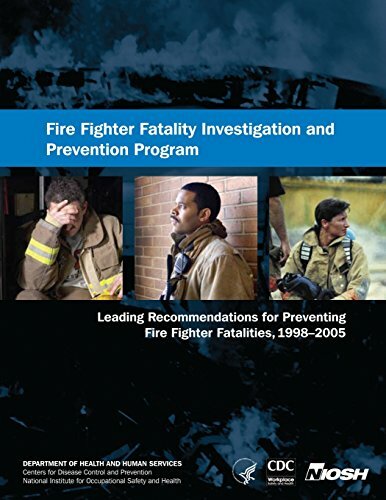 The overall goal of the NIOSH FFFIPP is to reduce the number of fire fighter fatalities. To accomplish this goal, NIOSH conducts investigations of line-of-duty fire fighter deaths to identify contributing factors and to generate recommendations for prevention. This document is a synthesis of the 1,286 individual recommendations from the 335 FFFIPP investigations conducted from 1998 to 2005.